Sonata for Flute and Piano is a jazz flavored piece in Brazilian style. Flutist looking for a great change of pace to their repertoire will need this piece in their library. This is written ìimprovisedî jazz, requiring technique and a feel for the flavor of both Brazilian rhythm and jazz interpretation. A large amount of legato tongue is required. 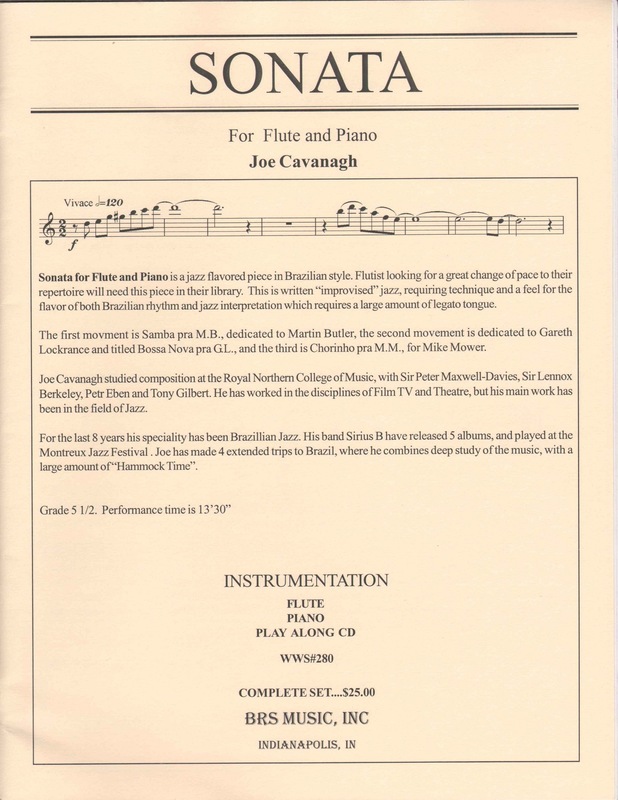 This package includes the flute part, piano part, and play along CD which also includes the performance tracks. This recording was done by Joe Cavanagh on piano and Garth Lockrane on flute. The second and third movements are not heard here but come with the enclosed CD.